use +/- or mouse scrollwheel for magnification. click here for full-sized image. Please check our homepage for currently available maps. 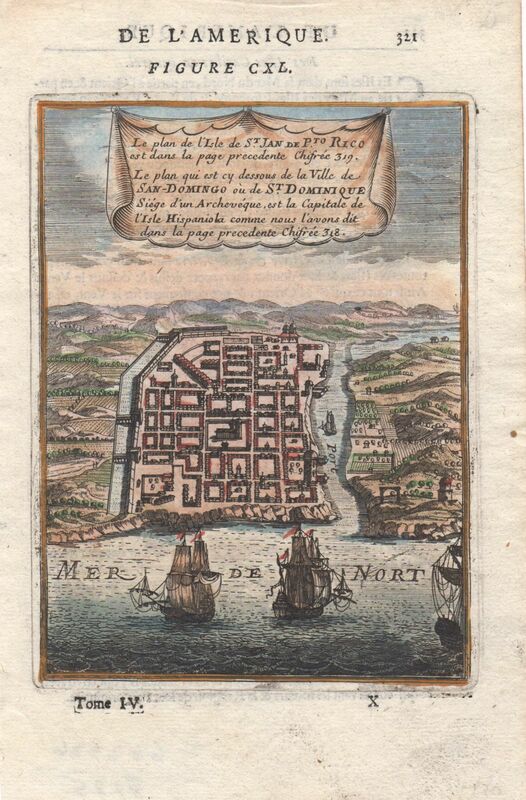 Mallet's charming bird's eye view of the old walled city of Santo Domingo, in a beautifully colored example. From his Description de l'Univers. Size: 4 3/8" x 5 7/8"